May is always special for me, and the end of this month will mark the beginning of a grand adventure. My little Fiat and I are headed east for an extended vacay and writing/multimedia experience. I have my stops mapped out (roughly) from May 30 until July something or other; most planes and trains are booked. 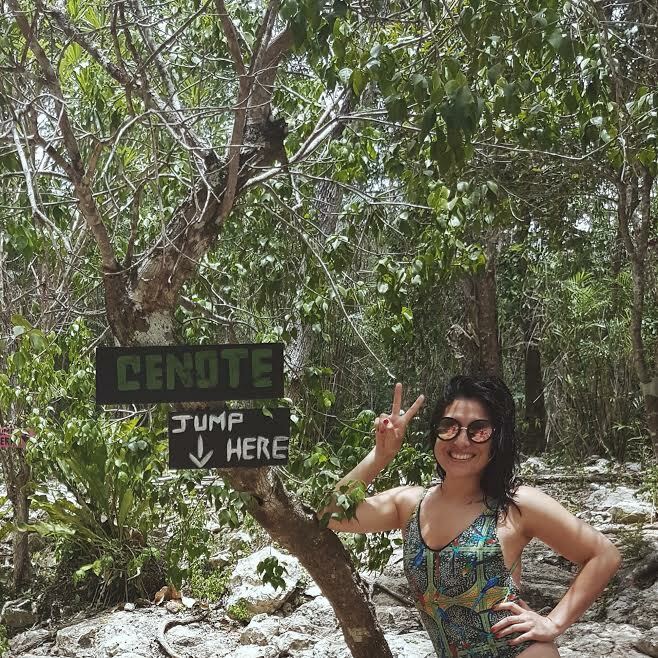 Other than that, I'm really, really ready to discover new places--and maybe myself a little better--along the way. The road trip from Los Angeles to Miami is a four or five night one, depending on my pace, and I'm planning on stopping in Phoenix, New Orleans and a couple other cities to sleep/recharge, visit old friends and explore a bit. Still undecided about Texas. It's a HUGE state, and I've only visited Austin. Two cities in particular are kind of conveniently located on the way to Louisiana and I'm having trouble deciding which I want to stop at this time; I'll more than likely cruise through the other on my trip back. The internet apparently thinks it's a big deal that Beyonce's been to Marfa. I don't really care who's been there or when, but I do care about what there is to eat, where there is to drink and the quality of one night in a Marfa hotel. As far as I'm concerned, there are three options for sleeping: the Thunderbird Hotel (contemporary), Hotel Paisano (historic) and El Cosmico (yurt/tent/trailer/teepee chic). 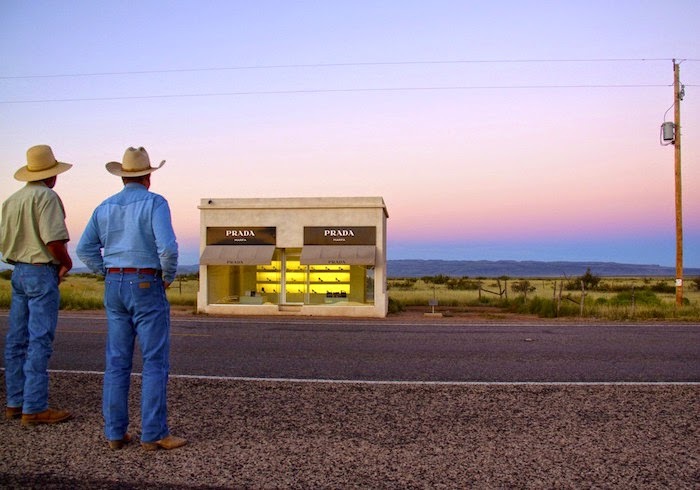 There is a bookstore, there is a boots store and there is plenty of art, including the decade-old PRADA Marfa, a faux-Prada store desert installation by artists Michael Elmgreen and Ingar Dragset, approved by Miuccia Prada, with a non-working door and the same Prada pieces sitting inside the "store" since 2005. There seem to be a few cool places to eat like Food Shark (Mediterranean food truck), Maiya's (Ithis one has mixed reviews) and Cochineal (courtyard, kitchen and veggie garden); and Jett's Grill at Hotel Paisano supposedly has great cocktails/desserts. Then there's Amarillo. 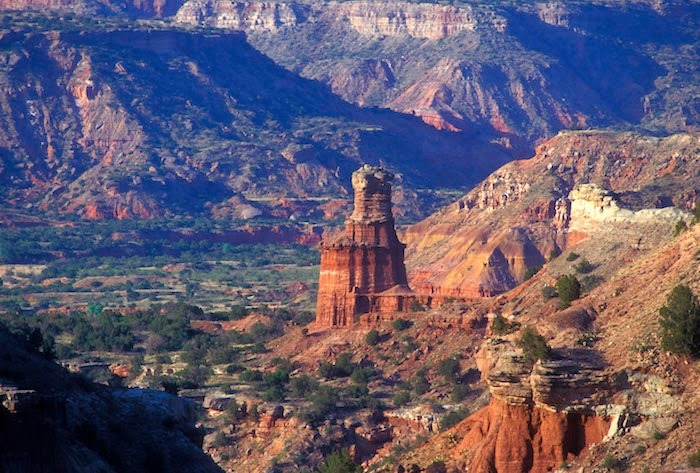 The largest city in the Texas Panhandle is home to the second largest canyon in the U.S. after the Grand. You can pitch a tent or rent a cabin at Palo Duro, but you have to call the number on the website; I tried fake-booking online and wasn't able to figure it out. For being a big city, Amarillo feels like a sleepy city with a lot of mom and pop restaurants and an overabundance of roadside motels (Holiday Inn Express, Hilton Garden Inn, Comfort Inn, Sleep Inn, Quality Inn, La Quinta). Along Route 66 is Cadillac Ranch, a public art installation created in 1974. Cadillac Ranch is to Amarillo (I guess, maybe?) 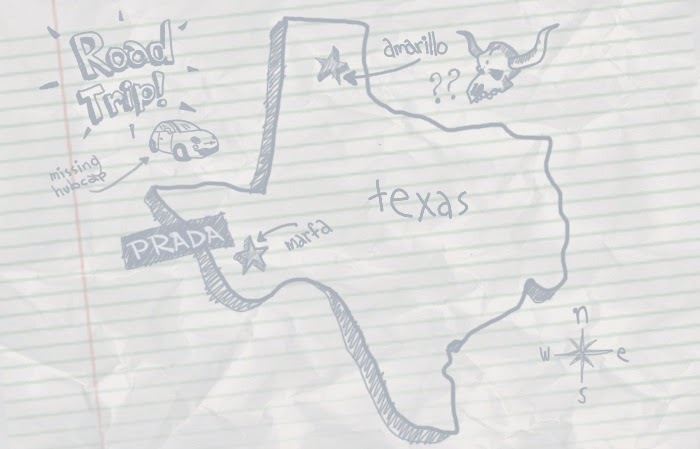 what PRADA is to Marfa. I asked for Amarillo suggestions on Twitter and a really nice guy let me know he was thrilled someone was giving the town attention and also that Amarillo has the best pizza and the best coffeehouse AND the "greatest Tex Mex" in the U.S. I've got a choice to make. They both seem like solid ones, and in roughly three weeks I'll be in one town or the other reporting what I find.